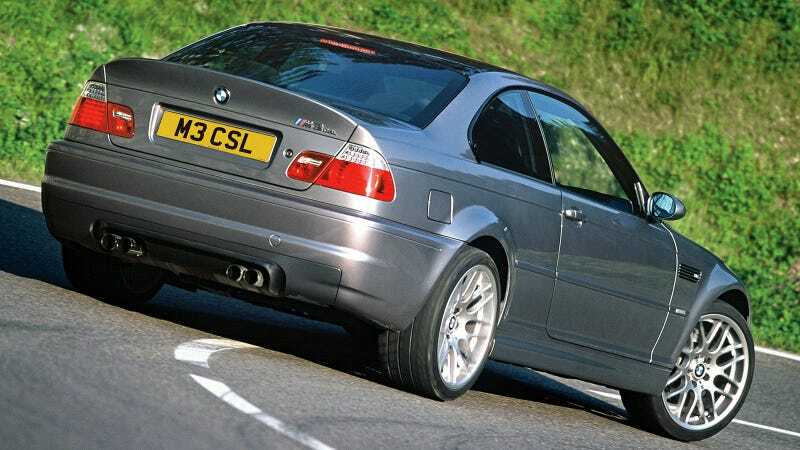 This is a 2004 BMW M3 CSL, which stands for Coupé Sport Leichtbau. It could be the best E46 ever made if it had a manual transmission. Unfortunately, it came with an upgraded SMG semi-automatic which wasn't as good that the six-speed manual in the base car. The special edition of the E46 M3 is not alone in the army of automatic-only cars. Even Porsche is telling us to get over it as double-clutch automatics are simply more efficient than our left foot and right hand. Or left, in case you're driving on the wrong side. But which awesome car was missing out on a good old fashioned row-your-own gearbox the most?